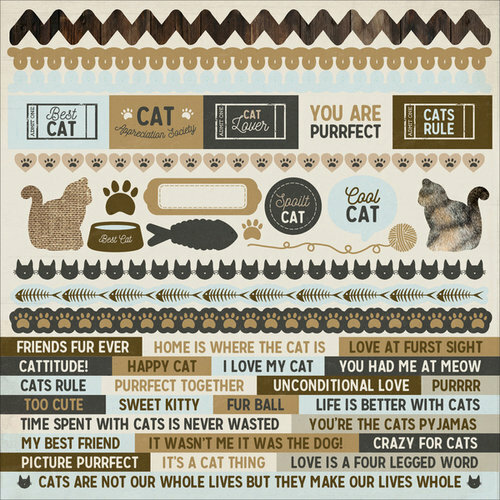 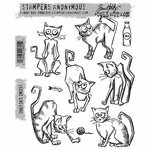 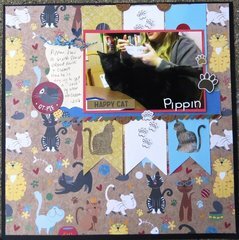 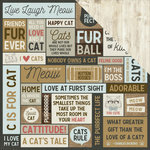 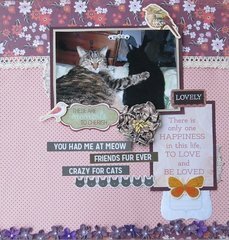 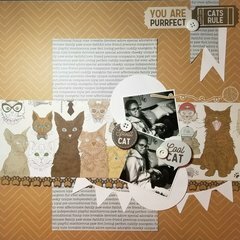 Show off your sweet and sassy cat with a scrapbook page or other craft using the Cat 12" x 12" Sticker Sheet by Kaisercraft! 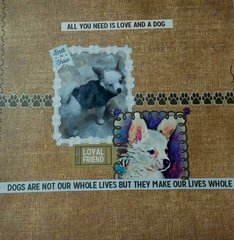 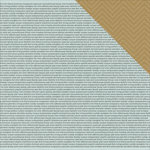 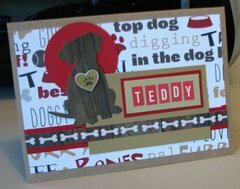 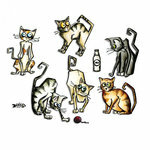 The package includes one sheet of cardstock stickers that are part of the Pawfect Collection. 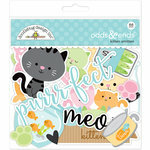 The cardstock stickers are strong and sticky on paper. 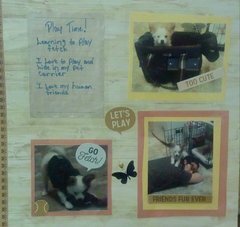 However the words immediately popped off the backing and stuck to each other when I tried to store it fresh from delivery.